How to start research on UN mandates? Often, these sources will provide the symbol of the resolution or document that established the body of interest. 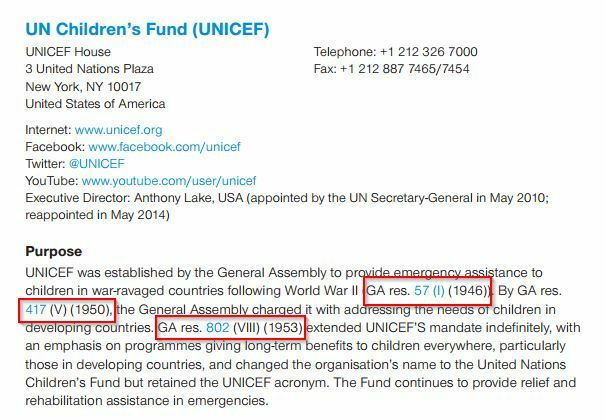 For example, the UN Handbook entry for UNICEF provides the initial resolution as well as subsequent resolutions that modified the mandate of UNICEF. Provides current information on all the UN family organisations, including their purpose, evolution, structure, membership and an overview of activities. Exhaustive list of UN online resources: databases, research tools, etc. Most UN bodies are established by resolutions of their parent organ. Each principal organ has subsidiaries. Most UN programmes and funds were established by resolutions of the Economic and Social Council and/or the General Assembly. UN Specialized Agencies may have been established by, or brought into relationship with the UN through, a General Assembly resolution. To find the original mandate of a UN Secretariat department, office or division can be challenging. Since the first General Assembly resolution on the Organization of the Secretariat (A/RES/13 (I) of 13 Feb. 1946), the structure and mandates of many parts of the Secretariat have been modified, expanded, re-organized, and otherwise modified. In some cases, the General Assembly adopts a resolution endorsing a new department. In other cases, the Secretary-General may submit information within the proposed programme budget and the General Assembly resolution adopting the budget may not explicitly mention the name of the department or office. In some cases, the Secretary-General's Bulletin on the Organization of the Secretariat and the related documents issued for each office may provide the mandate. ST/SGBs with title "Organization of ..."
Resolutions with subject "Department of ..."
Search in the Library's catalogue for the key Secretary-General's Bulletins on the Organization of the Secretariat and its departments and offices. List of UN Secretariat departments and offices with links to their websites. 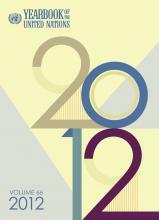 Some activities, such as certain publications or events, are mandated by resolutions. Others may be proposed in a proposed programme budget and then approved by the General Assembly resolution that adopted the budget for the biennium. Reports of the Secretary-General usually indicate in the first paragraphs the resolution or decision that calls for the report. Subsidiary bodies generally report to their parent organ after each session or after each year (if they hold multiple sessions in a year). 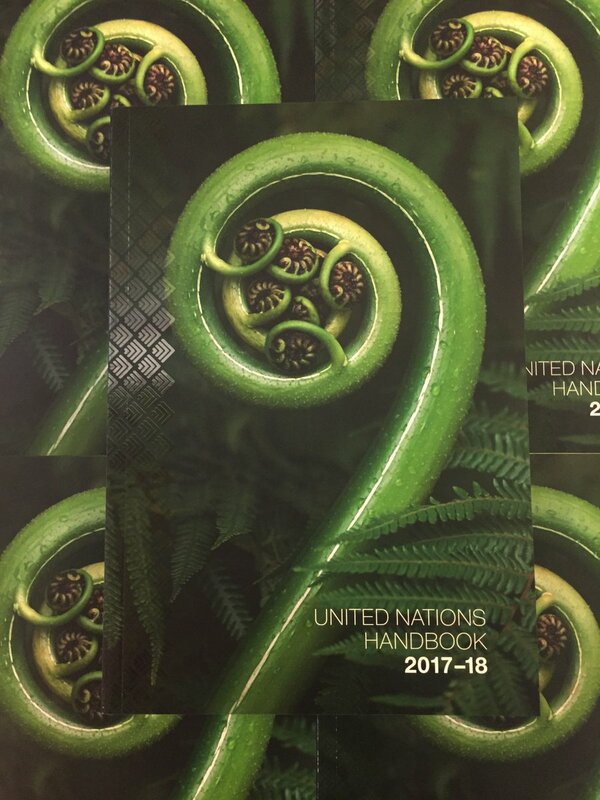 For example, General Assembly resolution 1814 (XVII) sets out what should be included in the United Nations Juridical Yearbook, a legal publication. UN-I-QUE (UN Info Quest), a ready-reference file created by the Dag Hammarskjöld Library to respond to frequently asked questions, is designed to provide quick access to document symbols/sales numbers for UN materials (1946 onwards).